Overcooked returns with a brand-new helping of chaotic cooking action! Developer: Team17 Digital Ltd and Ghost Town Games Ltd Publisher: Team17 Software Ltd. 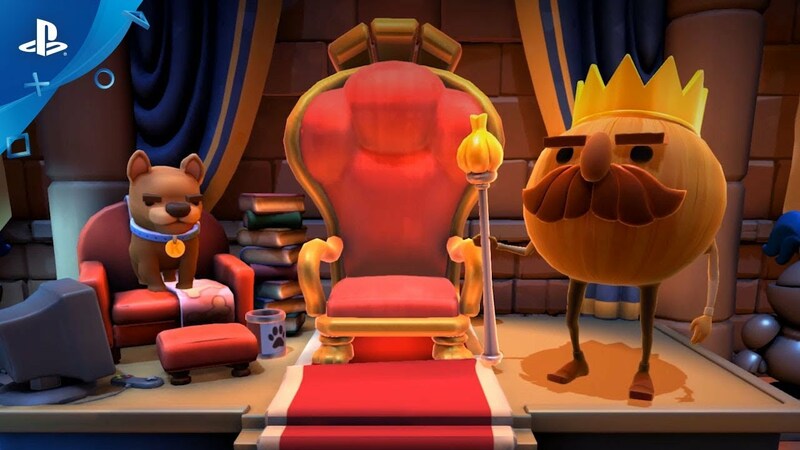 Journey back to the Onion Kingdom and assemble your team of chefs in classic couch co-op or online play for up to four players. ONLINE/LOCAL MULTIPLAYER MADNESS- You’ll knead to work together to get the highest score in chaotic local and online multiplayer. Overcooked 2. Developed by Team17 Digital Ltd and Ghost Town Games Ltd © 2018. Published by Team17 Digital Ltd. Team17 is a trademarks or registered trademarks of Team17 Digital Limited. All other trademarks, copyrights and logos are property of their respective owners.